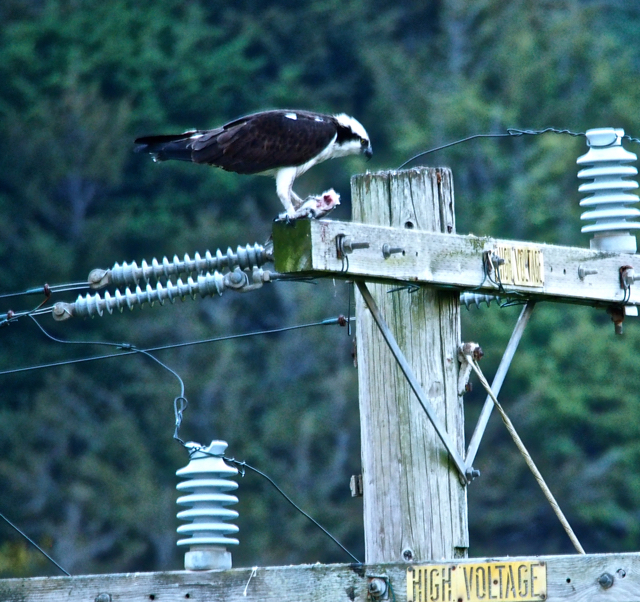 For weeks I have watched a young osprey bring its catch of the day, always a fish, to the top of a high voltage electrical pole to eat. It seems like the ultimate al fresco experience. Whenever I took a photo, it would be blurred. This would be with a telephoto lens steadied on the top of a fence. The pole is about 30 feet away. I can actually watch the pole for activity from inside my rig. 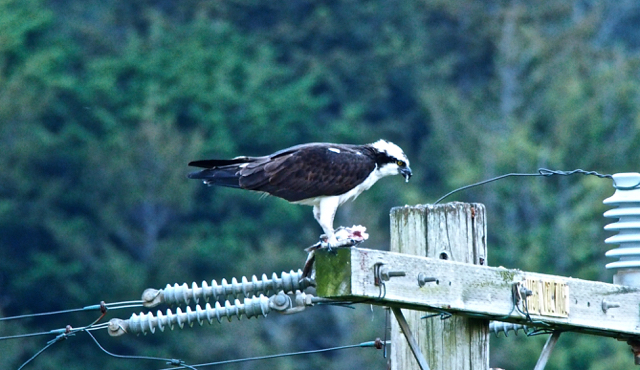 This morning I attempted again to photograph the osprey eating its catch. The photos are the best so far. Is it possible that vibrations from all that high voltage electricity are causing my photos to blur? Yes I think it could be doing that. It’s a lot of energy that is being moved.